sensors: leading to self-adaptive responses. 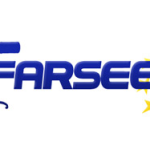 FARSEEING aims to build the world’s largest fall repository. falls, daily activity and physiological factors. The inclusion of a longstanding cohort study ensures a representative population sample, which is urgently needed to translate technological advance into real world service provision.